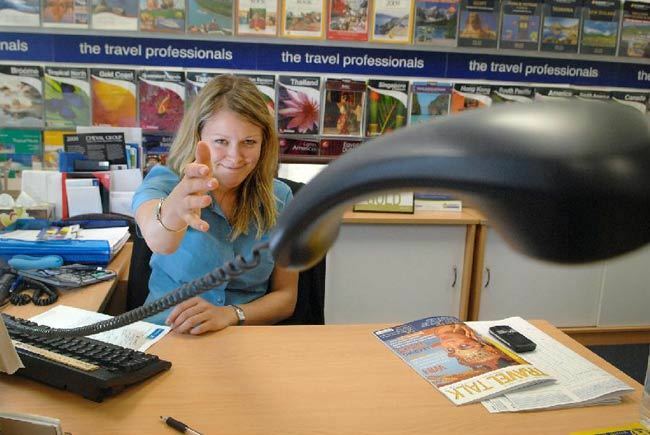 Are you working in the travel business? Chances are you will soon need to write a new resume and obtain a better job. If that’s the case, use our travel consultant resume examples we have written bellow, and also remember to read our tips and advice for the job interview. Handled transport of customers from airport or ferry terminal. Informed tourists about local offerings. To increase your chances of getting hired for that regular consultancy job you are aiming for, you have to seriously prepare for your interview. Remember when you used to cram for your exams back in high school, you nearly collapsed in stress. It was not a great idea at all. The Same thing is true with your job interview. Check out these tips to make sure you are well prepared and will not appear frazzled even before you open your mouth to answer the questions hurled at you. Taking inspiration from superbly-written travel consultant resume templates found on this site is a good starting point. These can help you further polish your travel consultant resume for conciseness and marketability. Learn from other people’s experiences as well. It does not hurt to go an extra mile to ensure you are most prepared for a possible life-changing interview. To be professional is to be punctual, well-prepared, and to look your best. Show that you value the interviewer’s time and effort by going to the interview on time. Give an impression that you take it seriously by doing your homework prior to the meeting. Study the agency’s profile through its website. By doing so, you would know how exactly to convince the interviewer that you truly fit in and that you can contribute to the team in a significant way. Exude an aura of professionalism and great personality by looking your best. Why choose a career in tourism? Why not pursue your undergraduate field in history? What are the most challenging problems you have experienced so far as a travel consultant? How did you resolve them? What are your plans and goals in the medium term? Do you see yourself doing the same work in the next ten years? How far are you willing to go to assist a client? Are you willing to act as a travel guide if necessary? Does your personal circumstance allow you to travel abroad in case the team needs you to? If you pick the one most commendable skill that can make you an asset to this company, what is it and why? What is your most popular tour package? Does the company integrate technology into its marketing plan? How does the company plan to grow in the next 10 years? Be courteous both during the interview and in all correspondences you will have with the company. This shows how good your interpersonal skills are. Make each correspondence as if you were in an interview. Stay positive. Ensure that even if they may decide not to hire you eventually, you leave them an impression that you are indeed a real gem any company should be proud to employ. Who knows, they might consider you on their next round of hiring. Normally, you would be asked to provide the most important reason why they should hire you. Feel free to show off a bit. Share your style of handling things and situations. But be careful with the manner of delivery. You can earn the respect of the interviewer without appearing to be too full of yourself. If this Travel Consultant resume example wasn’t sufficient for you, you are free to review some other samples and templates from our site. Browse to some related resumes below and find your inspiration.